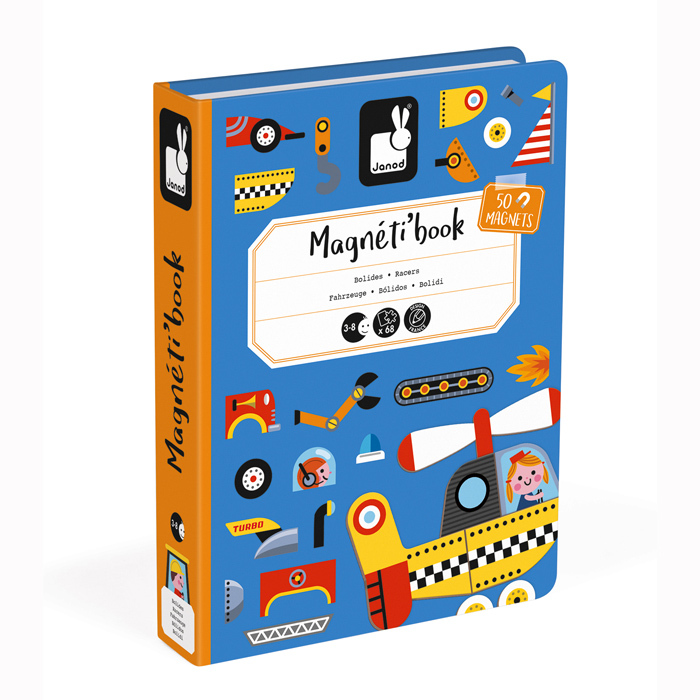 The Racers Magnetibook allows you to create different vehicles using the magnetic pieces. 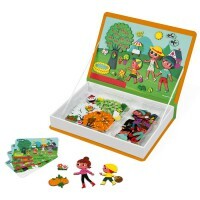 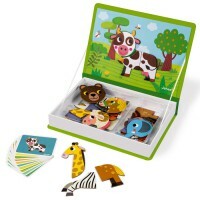 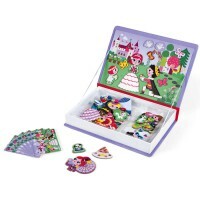 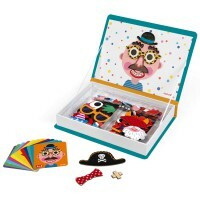 Select one of the 18 cards and then match the magnetic pieces to copy the card. 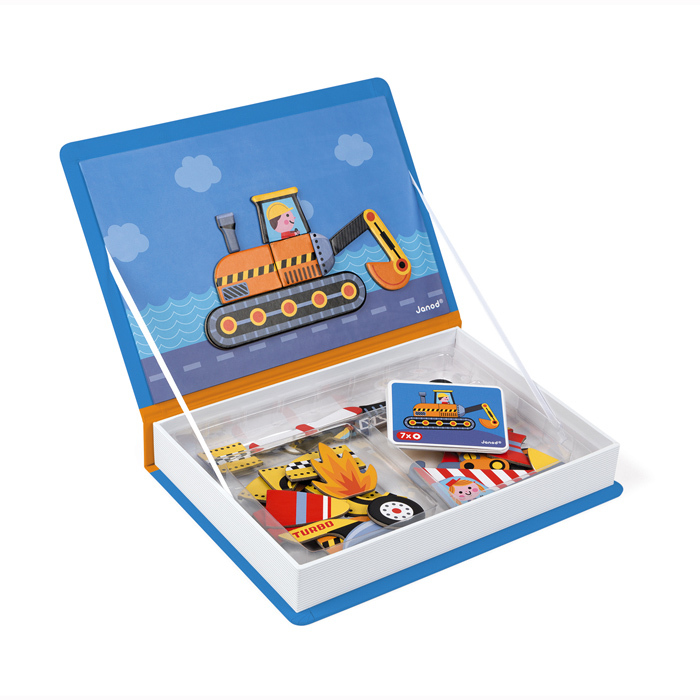 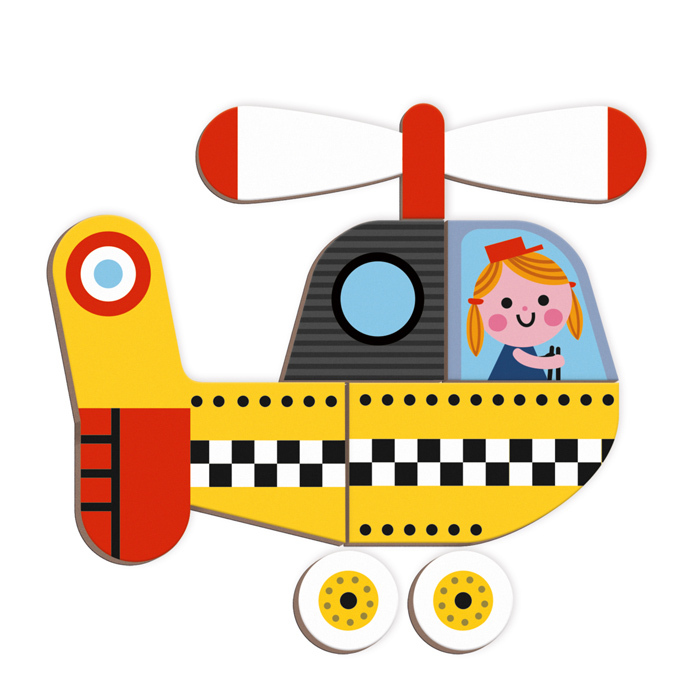 Alternatively you can be creative and mix and match to build your own super cool transport. 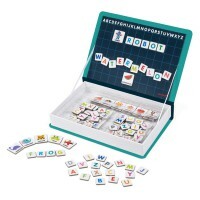 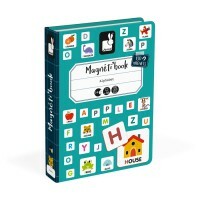 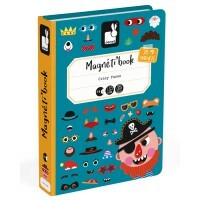 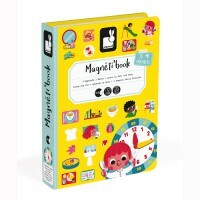 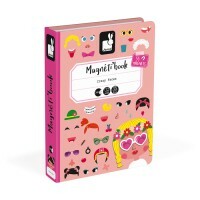 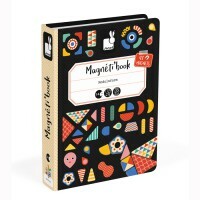 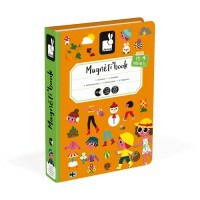 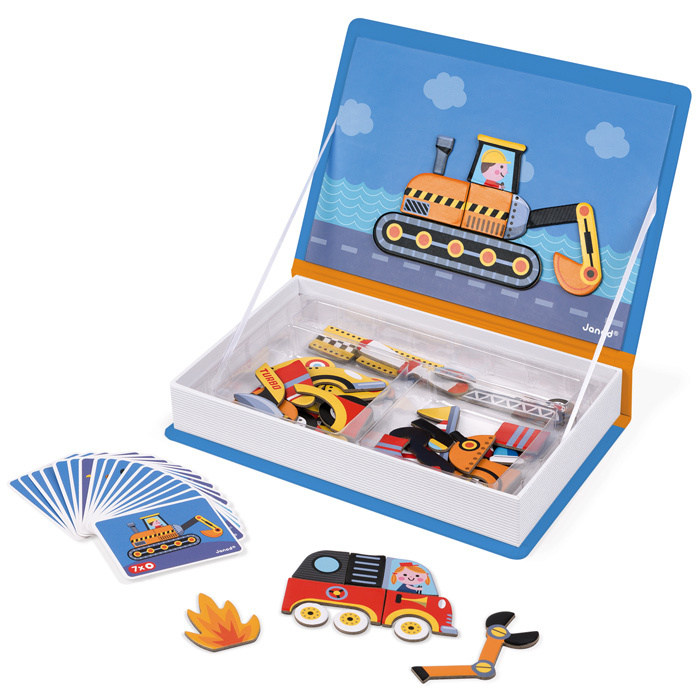 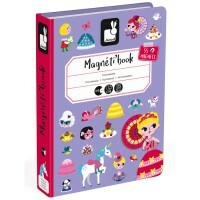 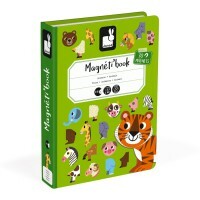 The 50 pieces and 18 cards all store away in the magnetic book when not in use and is one of many to choose from in the Janod Magnetibook range. 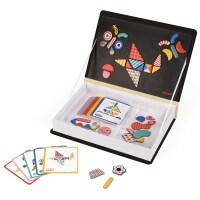 Great for play on the move or holidays.